To celebrate the grand opening of the new London Disney Store on Oxford Street in May, Disney are giving away the chance to win a VIP trip plus a private shopping spree. To enter click here. Good luck! 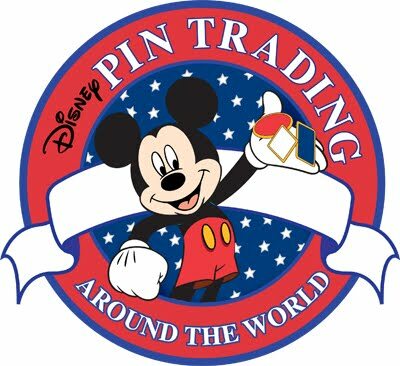 The Disney Store in Cardiff’s St. Davids 2 shopping centre will be playing host to a Pin Trading Pary on Saturday 2nd April 2011, between 9am and 12 noon. The Disney Wonder cruise ship returned to dock in Los Angeles yesterday for the first time since a 24-year-old British Cast Member went missing from the ship last week. Rebecca Coriam was last seen onboard the Disney Wonder on Monday, but failed to report for her shift as a youth worker on the vessel the next day. The ship returned to Los Angeles on Sunday after a week-long cruise, and Miss Coriam’s parents, Michael and Ann, were waiting in the city to hear the latest on the inquiry. The couple flew out to the US last week, along with Miss Coriam’s cousin, Trish Davies, as concerns grew for their daughter. Ms Davies told reporters in Los Angeles that the family had been told Miss Coriam made a phone call from the ship shortly before she was reported missing. The missing woman’s sister, Rachael, and uncle, John Jennings, appealed for more information on Friday about the disappearance of Rebecca. A spokeswoman for the Foreign Office said it was providing consular assistance with the family and was in touch with the relevant organisations and authorities. The ship, which carries about 950 crew members and 2,700 passengers, was on a seven-day trip along the Pacific Coast of Mexico. Authorities boarded the ship Friday at Cabo San Lucas and have conducted searches of the near-1,000-foot vessel, Disney Cruise Line spokeswoman Christi Erwin Donnan said. Because the ship is registered in the Bahamas, the Royal Bahamas Police Force is leading the investigation and the Bahamas Maritime Authority is also involved. The Mexican Navy conducted the search of the ship’s route and the U.S. Coast Guard was notified. Coriam began working for the Disney Cruise Line last summer and was on her second contract with the company, Erwin Donnan said. 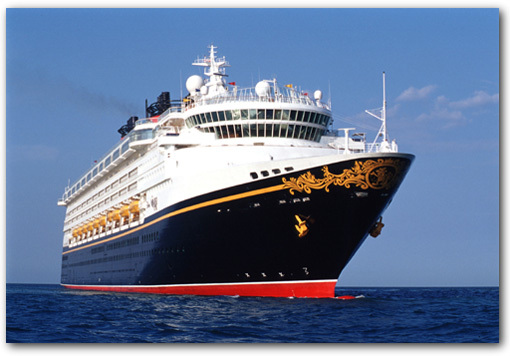 The Disney Wonder began sailing seven-night trips along the Mexican Riviera on Jan. 23. It departs from the Port of Los Angeles in San Pedro on Sundays and is at sea on Mondays and Tuesdays before docking in Puerto Vallarta on Wednesdays. It stops in Cabo San Lucas before returning to San Pedro. The ship was scheduled to leave for Mexico at 5 p.m. Sunday. Oriental Land Company, the operators of the Tokyo Disney Resort has released the following press release following the Tohoku Pacific Earthquake. Oriental Land Co., Ltd. would first like to send our heartfelt condolences to all those affected by the Tohoku Pacific Earthquake on 11 March 2011. From our heart, we pray for the health and well-being of everyone, and hope for the earliest possible recovery of the affected areas. As previously notified on 14 March there have been no injuries or casualties reported among our guests, Cast Members and other employees. There was no major damage to buildings and facilities, nor was there any ground liquefaction inside the Parks except for a portion of the parking area. Following full inspections, the safety of all buildings and facilities inside the Parks has been confirmed and the Parks are in condition for re-opening. However, due to the lack of stable electricity supply and other concerns, we have determined to further postpone the opening of the Parks. The reopening of the Parks will be duly announced when the date has been determined. Liquefaction has only occurred in a portion of the flat parking areas. Recovery efforts are swiftly underway. There was no major damage to the buildings or facilities. Also, work on confirming the safety of the hotels has been completed. The date of re-opening is not yet determined, as the hotels are scheduled to reopen at the same time as the Parks. There was no major damage to the buildings or facilities. Also, work on confirming the safety of Ikspiari has been completed. The date of re-opening is not yet determined. There was no major damage to the buildings or facilities. 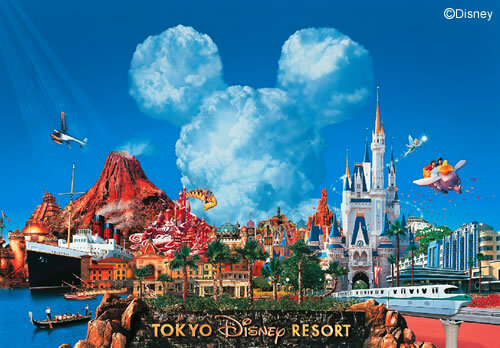 Although there is no impediment to the monorail operations, the date of resuming operations will be determined depending on the status of the other facilities within Tokyo Disney Resort. Although there was no major damage to the building or facilities, inspection of the equipment is still ongoing. The date of re-opening is not yet determined. Effects from this earthquake to our buildings and facilities were negligible. We are currently reviewing the ramifications to our business results due to the closure of the Parks and other facilities. This week on the occasion of the Walt Disney Studios Park 9th anniversary, and to celebrate the upcoming Disney Magical Moments Festival opening on April 6th, Disneyland Paris released a never-before-seen video of the resort, shot using the amazing “Tilt Shift” technique. The tilt-shift technique takes photographs, usually from high vantage points, using selective focus and perspective control to give the impression of a miniture model. All the photographs are then stitched together and edited to create the illusion of a short movie. Post production will then do the rest, oversaturating colours to reinforce the model impression, working on contrasts and even further blurring images. “A Magical Day at Disneyland Paris” shows vignettes of both Disneyland Park and Walt Disney Studios Park, including favourite attractions such as Big Thunder Mountain or the new rides in Toy Story Playland, shows and daily parades, including the Fantillusion Parade, from sunrise to nighttime entertainment and fireworks. More than 125.000 still photographs were taken during the shoot in the parks, although only 4.000 were used in the final edit, over a period of seven months. ﻿﻿﻿The Western Mail has reported that familes in Wales are “unfairly” missing out on a Disneyland Paris discount offered through its French website, but not available on its UK site, three MEPs have said. The cost of a day ticket to visit one of the two linked theme parks east of the French capital is £48 for an adult and £44 for a child if bought through the organisation’s UK English- language website. However, a single park ticket bought at least five days in advance from Disneyland Paris’ French-language website costs 41 (about £36) for an adult or a child. The same advance offer does not appear in the equivalent drop-down list of tickets on the UK website. For a family of two adults and two children, day tickets bought through the UK website would cost £184, while buying tickets from the French website would cost 164 (about £142) – or nearly 25% less. Three of the four MEPs who represent the whole of Wales criticised the price difference. Labour Euro MEP Derek Vaughan said: “It is very worrying that Welsh and UK families seem to be losing out under this practice. Opened nearly 20 years ago, the park is a popular destination with Welsh families, and with those throughout Europe. Latest figures showed the resort’s Disneyland Park and Walt Disney Studios Park attract more than 15 million visitors a year, making it Europe’s most visited tourist attraction. It also hosts an annual Welsh-themed St David’s Day celebration. Plaid Cymru MEP Jill Evans said: “This is not the only example of different prices being charged on different websites of the same company. “It is unfair that some parents pay more than others as a result and I am pleased that questions are being asked. We all live in the single market which was designed to provide a level playing field for consumers as well as businesses. “Unfortunately the consumers are the ones who often lose out. Many families from Wales visit Disneyland to celebrate special occasions and it can be a very expensive trip. UKIP MEP John Bufton said: “It strikes me as incredibly unfair that tickets to Disneyland Paris are cheaper in France than for families in the UK who would already have to spend extra on travel costs and would pump valuable tourist cash into the French economy during their visit. The fourth MEP who represents Wales, the Conservative MEP Kay Swinburne, is recovering following a minor accident and was not available for comment. Disneyland Paris confirmed that the cheaper offer was not available on the UK website. A spokesman said: “The two different ticket prices you are looking at are actually for two different offers. The offer on the UK site is a one-day ticket that gives access to a park any day within a one-year period.